And when your blood is ‘thinner’, it flows more freely around your body, enabling more efficient transportation of nutrients to all of your important organs, and muscle fibers in rapid time. Nattokinase can help with this. What is the Normal Use for Nattokinase? Nattokinase is an organic blood thinner. Actually, it is a fibrinolytic enzyme (bacterium Bacillus subtilis), originating from the mix of fermented soybeans, a Japanese traditional food. 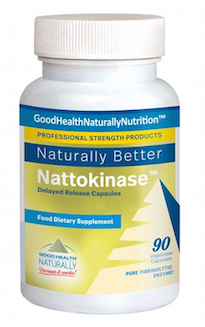 The health benefits of nattokinase are vast. Dissolving blood clots, preventing deep vein thrombosis, reducing the risk of stroke and other heart related problems, are just a few of it’s uses. People suffering with hypertension, and studies have been concluded to concur, that nattokinase helps to reduce blood pressure with great effect. It could be an essential muscle building supplement for you, if you are a bodybuilder, or if you workout regularly with weights. I can be testament to this. Muscle Building Is About Persistence Not Quick Fixes! However, don’t just go out now and stock up on Nattokinase supplements thinking that is all you need to do to get ‘lean and huge’! I am not advocating that. There is a great deal more involved to building a great looking, muscular physique than just popping a few extra pills every day! Building quality, lean muscle takes time, dedication and consistency. Workout schedules and split routines – I train each muscle group once per week, splitting my routine into chest and back, quadriceps and hamstrings, shoulders and calves and finally on day four, arms. The other days comprise of HIIT work, cardio, abdominal’s and of course, rest. Are you regularly working out? Diet – how much protein do you need? How much fat should you eat? You need approximately one gram of protein per pound of lean body weight (or, what you want to weigh). And you should split your food like this – 40% protein, 30% Carbohydrates & 30% fat. Are you already getting enough nutrition from your food? Sleep – if you don’t get enough sleep, you risk fatigue and injury. Are you getting enough sleep? Exercises, repetitions and sets – different people have different idea of these fundamentals. Are you really working out to your own limits, pushing boundaries? If you are not, you should refrain from taking nattokinase. Supplementation – you must ensure you are getting enough energy, amino acids and vitamins for your workouts. Do you really need to add another supplement to your nutrition plan? But I gained 8 pounds of lean muscle over the course of six weeks. I know it was ‘lean’ gain, as opposed to a ‘mass’ gain (which usually includes adding a few pounds of fat), because I got slightly leaner over that period, which was a great result. What About Using Aspirin as a Blood Thinner to Help Build Muscle? 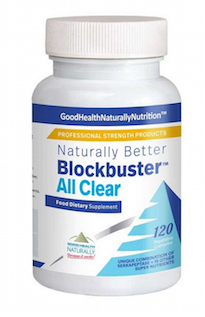 There are several testimonials about using aspirin to thin your blood, relating to building muscle (because aspirin has been used for this purpose for many years). But aspirin has several, harmful side effects (when used long term). This makes nattokinase a much better and safer option, because nattokinase has no known side effects. We have already talked about how when your blood is thinner, it transports vital nutrition to your organs quicker than if your blood was thicker. 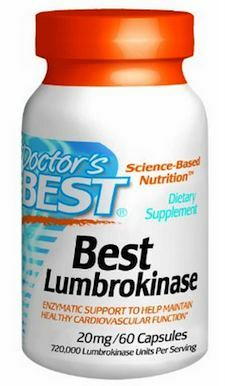 But there is also another great benefit of using nattokinase as a bodybuilding or muscle building supplement. And that is when your blood is thinner, it means that by-products of lifting weights, like lactic acid, get removed quicker from muscle that is being worked. This enhances and speeds up recovery time between sets and reps.
You should know that it was not my original intention to use nattokinase as a muscle building supplement. I use it on a permanent basis because I have circulation problems, after suffering a DVT (blood clot) several years ago. I only noticed the difference in my body composition after taking nattokinase for around six weeks. I had not done anything different (weight training and nutrition wise). The only extra to my life was taking these little capsules! And please remember what I said, there are no scientific studies reported on using nattokinase as a bodybuilding supplement. This article is based purely on my own conclusions and that of other bodybuilders and muscle building enthusiasts. 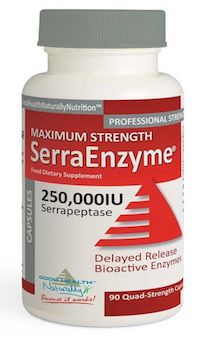 As always you should seek medical, professional advice before adding nattokinase to your diet. Nattokinase is a God sent for me. Been taking cautiously for a week now. I say cautiously because recently I have diagnosed with high blood pressure. In fact it was extremely high. I am on four BP Meds. I researched the side effects and they’re pretty scary and they don’t work very well for me. When I take the nattokinase with the HBP meds the blood pressure decreases amazingly well. Also I get a good feeling of well being. Because of how high the HBP can go at times, I am proceeding with caution. Looking forward to the day when I will no longer have the need for these drugs and rely totally on nattokinase. Thanks for your message Maria, I wish you the very best of health.